On Saturday night, the network ran “crimetime” reruns and an original edition of 48 Hours. The latter was up by nearly 42% in the 18-49 demographic, when compared to a week earlier. Sunday, without a football lead-in, 60 Minutes was down by 65% in the demo, to a 1.4 rating with 10.19 million. Undercover Boss felt the lead-in loss too, being down by 44% (a 1.9 and 8.12 million). The Lost Valentine, a Hallmark movie with Betty While and Jennifer Love Hewitt, scored a healthier 2.3 demo rating and 14.64 million. On Tuesday, NCIS and NCIS: Los Angeles gained 12% and 15% respectively in the demo. 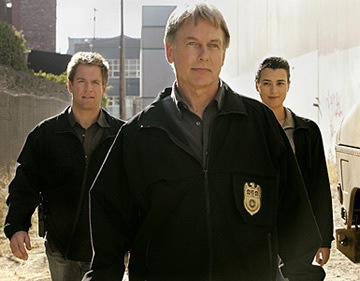 That was a season best for NCIS and the show was renewed for a ninth season soonafter. Wednesday, Live to Dance continued to lose steam and was down 10% to a horrendous 0.9 rating in the demo with 4.75 million viewers. Blue Bloods was down by 24%, to a 1.6 rating and 11.31 million. That’s what it was doing on Friday nights at 10pm so if it is renewed for next season, that’s likely where it will stay. Raw data: © The Nielsen Company via Media Week. * Nielsen doesn’t release the final Friday and Saturday night ratings until a few days later. Numbers with an “*” may change slightly once the final numbers are released. Don’t cancel CSI: NY…..I love this show!!! !